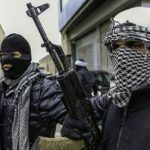 What caused the conflict in Syria to erupt when it did, pushing citizens from discontent with the regime to outright rebellion? Which raises the question: Did the drought in the late 2000s serve as a stressor that triggered the current conflict? While invoking drought as a destabilizing force in Syria is intuitively appealing, it overlooks the ways political and social structures determine the impact of environmental pressures. When one delves into the details, drought as an external factor recedes and political economy takes center stage. The inclusion of environmental factors in our understanding of political and social upheaval adds valuable context that was often missing from earlier analyses, but we need to be careful about the kind of causal stories we construct. (c) Invoking climate change as an external stressor is intuitively appealing but analytically inadequate. Ultimately, a society’s vulnerability to environmental stressors is mediated by its social and political institutions, which marginalize some people and privilege others through laws and informal rules regarding ownership and access to resources. When terms such as ‘stressor’ or ‘threat multiplier’ are applied to drought, shifting rainfall patterns, floods, and other environmental events in the Middle East, they often obscure rather than illuminate the causes of uprisings and political change. There is perhaps no better illustration of this dynamic than Syria, where a closer examination shows that government policy helped construct vulnerability to the effects of the drought during the 2000s. State policies regarding economic development, political control in rural areas, and water management determined how drought impacted the population and how the population, in turn, responded. If we follow the flow of water, we find that Syria invested heavily in modernizing and expanding its agriculture and irrigation systems over the past half-century.6 Following the dominant global paradigm at the time, they focused on building a centrally managed irrigation network with large dams, surface irrigation systems, and widespread use of pumps to access groundwater. They also expanded the amount of cropped area, specifically through ‘land reclamation’ that converted deserts and arid lands previously used for herding and pasture into irrigated fields. The government also provided implicit and explicit subsidies to encourage agricultural intensification. As in other countries, this ‘green revolution’ promoted intensive use of groundwater, surfacewater, and agricultural inputs to significantly increase food production.7 Though much of it was portrayed as reducing vulnerability to drought, agricultural expansion premised on large-scale provision of water and inputs proved as unsustainable in Syria as elsewhere. (d) Over-extraction of groundwater reserves and surface water from rivers and soil salinization from inadequate drainage meant much of the area brought under irrigation showed diminishing crop yields. When drought struck, its impact was magnified by these preexisting failures of water management. Equally damaging was the inability of policymakers to shift course and revise agricultural-water policies or devise schemes to diminish rural insecurity. To understand the regime’s failure to adapt its policies to environmental realities, we must turn to political economy, the study of how those in power structure access to economic resources. Over the past half-century, the Syrian government and the ruling Ba’ath party gradually shifted from a single party, socialist state pursuing redistributive policies and mass support in the 1960s to a more personalized, patronage-based presidential system by the 2000s.8 From cultivating popular constituencies in rural areas, the regime became more narrowly focused on urban elites, crony capitalists, and a sprawling military-security apparatus. These general political trends were reflected in the country’s agricultural and water management policy. After the Ba’ath took power in a 1963 military coup, they attempted to build mass support among rural populations by enacting land reform and supporting agricultural development. (e) The government was intensely involved in irrigation and agriculture through state-run cooperatives; large-scale, state-owned water and agricultural projects; subsidies for fertilizer and fuel; and guaranteed prices for agricultural products.6 Rural standards of living increased in the 1960s and 1970s as a result. These political shifts produced growing inequality, increasing poverty rates, stagnant employment, and deepening or persistent regional inequalities that were exacerbated by changes to agricultural policy.10 State-owned agricultural projects were privatized and subsidies on fuel and fertilizers were lifted, severely impacting the agricultural sector and rural communities. When drought hit, rural citizens had little power to demand a response, since influence rested in the informal networks linking regime members with high-ranking military and security personnel and business elites. Rather than demonstrating that drought caused conflict, the Syrian tragedy highlights the capacity of political systems and economic policies to exacerbate vulnerability to environmental events. Focusing on external factors like climate change understates the responsibility of the former regime as well as then-fashionable development paradigms. It obscures the domestic politics of resource allocation, political exclusion, and accountability, as well as the international consensus that supported the intensification of agriculture and water consumption in arid regions. The Syrian case also highlights how the policy challenges associated with climate change have long been familiar to Middle East leaders. Before climate change was a commonly employed term, political rulers in the region faced dwindling per capita water resources, desertification, deforestation, soil salinity, and the like. Handling these challenges requires allowing critical internal debate, followed by a capacity to communicate and implement difficult reforms that affect varied domestic constituencies. The ossified presidential regime in Syria, as well as those in Egypt and Tunisia, was unable to foster these kinds of domestic changes. 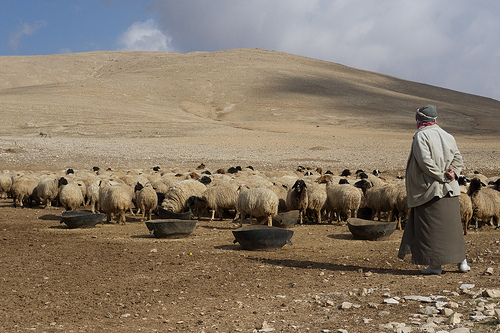 The Syrian drought shows that the ways in which environmental factors impact human welfare and regime stability depend upon political and economic choices.12 Considerable potential exists to cope with the impact of droughts and man-made climate change. One solution is to implement economic policies that diversify local economies and social policies that secure rather than undermine rural livelihoods. Another is to strengthen international and regional food trading systems to limit price volatility for major cereal crops.13 As the case of Syria demonstrates, it is not simply drought or climate change that triggers revolutions, but political and economic policy choices that worsen environmental problems and undermine local livelihoods. Thomas Friedman (2013) “The Scary Hidden Stressor,” New York Times, March 2. Friedman (2013) “Without Water, Revolution,” New York Times, May 18. Caitlin Werrell and Francesco Femia (2013) “The Arab Spring and Climate Change,” Washington, DC: The Center for American Progress and the Stimson Center, p. 1. Martin Hoerling, Jon Eischeid, Judith Perlwitz, Xiaowei Quan, Tao Zhang, and Philip Pegion (2012) “On the Increased Frequency of Mediterranean Drought,” Journal Of Climate, 25(6): 2146-2161. For an overview of how human-induced climate change and state policies affect water resources in the Middle East and North Africa, see: Jeannie Sowers, Avner Vengosh, and Erika Weinthal (2010) “Climate Change, Water Resources, and the Politics of Adaptation in the Middle East and North Africa,” Climatic Change, 104 (3-4): 599-627. Jeannie Sowers and Erika Weinthal (2010) “Climate Change Adaptation in the Middle East: Opportunities and Challenges,” Dubai Initiative Working Paper, Cambridge, MA: Belfer Center for Science and International Affairs at Harvard University. Raymond Hinnebusch (2011) “The Ba’ath’s Agrarian Revolution (1963-2000),” in Agriculture and Reform in Syria, Boulder, CO: Lynne Rienner Publishers, distributed for the University of St. Andrews Center for Syrian Studies. Food and Agriculture Organization of the United Nations (2003) “Syrian Agriculture at the Crossroads,” Number 8 in the FAO Agricultural Policy and Economic Development Series, Rome: Food and Agriculture Organization of the United Nations. 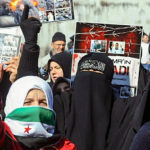 Raymond Hinnebusch (2012) Syria: From ‘Authoritarian Upgrading’ to Revolution? For in-depth accounts of the logic and consequences of Syria’s economic reforms, see: Bassam Haddad (2012) Business Networks in Syria: The Political Economy of Authoritarian Resilience, Redwood City, CA: Stanford University Press. Bassam Haddad (2013) “The Syrian Regime’s Business Backbone”, Middle East Report, 262. Caroline Donati (2013) “The Economics of Authoritarian Upgrading in Syria: Liberalization and the Reconfiguration of Economic Networks,” in Stephen Heydemann and Reinoud Leenders, editors, Middle East Authoritarianisms: Governance, Contestation, and Regime Resilience in Iran and Syria, Redwood City, CA: Stanford University Press. 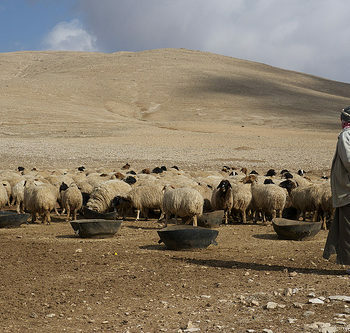 Myriam Ababsa, (2011) “Agrarian Counter-Reform in Syria (2000-2010)”, in Agriculture and Reform in Syria, Boulder, CO: Lynne Rienner Publishers, distributed for the University of St. Andrews Center for Syrian Studies. Francesca de Chatel (forthcoming) “The Role of Drought and Climate Change in the Syrian Uprising: Untangling the Triggers of the Revolution,” Middle Eastern Studies. 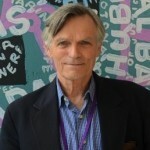 John Waterbury (2013) “The Political Economy of Climate Change in the Arab Region,” Arab Human Development Report Research Paper Series, New York: United Nations Development Programme Regional Bureau for Arab States. Eckart Woertz (2013) Oil for Food. The Global Food Crisis and the Middle East, New York: Oxford University Press. (b) According to the UN, 1.3 million Syrians were affected by the drought, representing about 6% of the population. (c) Theorizing about the causes of social upheaval and political revolution has been a long-standing intellectual project at which most major 19th and 20th century social theorists, from Montesquieu to Marx to Arendt, tried their hand. Environmental factors were rarely incorporated into earlier analyses, but recently environmental historians have begun to revisit these issues, incorporating patterns of climatic change into the study of rebellion, imperial decline, and the limits of state power in the Middle East and North Africa. (e) After the Ottoman Empire dissolved at the end of World War I, Syria was placed under a French mandate. France’s withdrawal in 1946 was followed by political upheaval and a series of military coups. The Ba’ath party took power in 1963 and Ba’athist Hafez al-Assad, the father of the current president, became the nation’s leader in 1971. 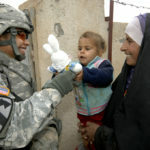 (f) A similar process began in Egypt and Tunisia in the 1980s and intensified in the 1990s. (g) De Chatel also writes, “The Syrian water sector operates in two realities. On the one hand there is the official narrative, the façade, which portrays Syria as a naturally water-scarce country actively working to ‘modernize’ its water sector, and on the other, there is the reality on the ground of an inefficient, corrupt, and rigid water management system that has enabled large-scale over-exploitation of water and land resources and engendered growing poverty and disenfranchisement among rural communities. 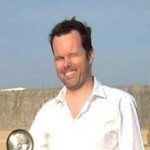 Eckart Woertz is a senior researcher at the Barcelona Centre for International Affairs (CIDOB). Formerly he was a visiting fellow at Princeton University, the director of economic studies at the Gulf Research Center (GRC) in Dubai, and worked for banks in Germany and the United Arab Emirates. He is an author and commentator. 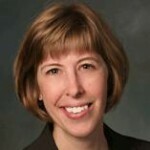 Jeannie Sowers is an Associate Professor of Political Science at the University of New Hampshire. Her research focuses on the intersection of political change and environmental issues in the Middle East and North Africa. She has published on adaptation to climate change and water resources; environmental protest movements; the provision of public goods; and the politics of environmental reform in Egypt. Sowers hold a Ph.D. and M.A. from Princeton University and a B.A. from Harvard University. Waterbury was a Professor of Politics and International Affairs at the Woodrow Wilson School at Princeton University from 1978 to 1998 and President of the American University of Beirut from 1998 to 2008. He is currently a Global Professor at NYU Abu Dhabi.